Does anyone—Mitt Romney included—have any idea what Mitt Romney’s immigration policy is? 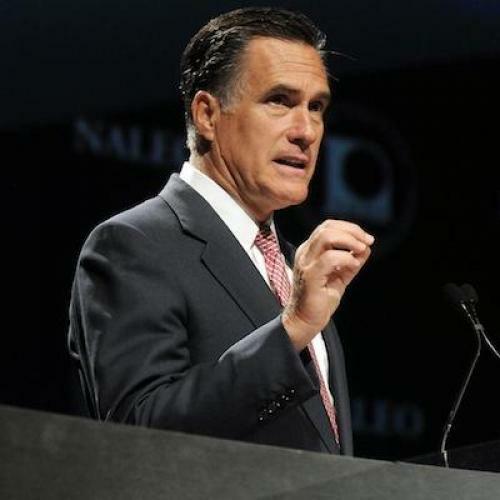 I’m wondering because we’ve now heard Romney’s much-hyped speech to the National Association of Latino Elected and Appointed Officials, and the speech raised more questions than it answered. Its content is particularly confusing when compared to Romney’s primary-era positions and the political circumstances he’s likely to confront if he moves into the White House next January. First, some context: Romney took the stage yesterday in the wake of President Obama’s announcement last week that the Department of Homeland Security would take steps to halt the deportation of some undocumented immigrants brought to the U.S. as children. Now, President Obama’s record on immigration is spotty at best. I don’t think it’s fair to call it a complete failure, but it’s certainly far from a success. This administration has failed to overhaul, or even effectively control, a dysfunctional enforcement bureaucracy, and it has announced important reforms that it failed to actually implement—in the process, dashing hopes and imperiling the Hispanic vote. Most importantly, it has failed to pass comprehensive immigration reform. Now, many have argued that immigration reform was a justifiably lower priority than economic recovery and health care and financial reform. That’s a fair point, but what matters is this: Anger at the White House for failing to deliver on immigration reform is part of a left-wing critique. So why does Romney seem to share it? It may seem odd to suggest that Romney sides, even in part, with left-wing critics of Obama’s immigration policy. But consider some important portions of his speech on Thursday. Most intriguing was his declaration that “unfortunately, despite his promises, President Obama has failed to address immigration reform.” Liberals would agree that the lack of a comprehensive reform law is indeed unfortunate. But whatever failures the White House is guilty of on this front, the majority of the blame has to be put on Romney’s own party, which famously torpedoed the last major attempt to pass immigration reform under President Bush. Of course, Romney is right that temporary measures are inferior to long-term solutions. But does anyone seriously believe that, if President Obama unveiled a major immigration reform bill today, he would get any Republican support for it—in Congress or from his opponent? And that comes after a more than three-year effort by the White House to build credibility by dramatically increasing enforcement efforts (both by stepping up border security and breaking records for deportation). “We have to follow the law and insist that those that have come here illegally return home and apply—get in line with everyone else.” It’s important to realize, in light of Romney’s insistence that he wants a a “long-term solution,” that some kind of path to legal status or citizenship is going to be a central provision of any comprehensive immigration reform law. Indeed, if Romney becomes president next January it’s hard to predict exactly what he’s going to want. He opposes immigration reform (as basically everyone in Washington understands it), but he’s unhappy with Barack Obama for not passing it. He criticizes short-term administrative solutions, but he aspires to lead the party that makes long-term legislative solutions impossible. And he claims to want common ground while refusing to abandon his hard-line opposition to the DREAM Act, the single most important “common ground” law. President Obama can be justly criticized for many miscalculations and failings when it comes to immigration, but his basic strategy and goals are clear enough. If we end up with a President Romney, I’m not even sure what failure would look like.